Arnoldo has worked for very successful and globally reputable companies though his career. He started his career as a process consulting re-engineering expert at Andersen Consulting (Accenture) mostly focused on human resources systems integration. Arnoldo, then, worked at Cisco Systems transitioning from process consulting to the area of recruiting helped build up the General & Administrative function. He continued to grow his career by moving into the area of compensation and specifically focused on Sales compensation for Cisco in the Americas. Arnoldo left Cisco for Google where he worked closely on Sales compensation with Tim Armstrong (CEO of AOL) and Sheryl Sandberg (COO of Facebook) and Sukhinder Singh Cassidy (CEO of Joyus). Arnoldo was recruited by Facebook to start the compensation department in March of 2008. He has helped Facebook grow from a company of 425 employees with 60 million active users to now a company over 4500 employees and over billion active users. Arnoldo Avalos was born in Guadalajara Mexico, immigrated from Juchitlan Jalisco to Gridley California. As the youngest of seven siblings, Arnoldo and his family worked as farm workers toiling in the peach, prune, and cherry orchards. During the summers, the familia Avalos traveled to Oregon, Washington, and Montana following the seasonal fruit harvest. Arnoldo was driven and determined to have a better life to leave the arduous migrant lifestyle through an education. Arnoldo was very involved in the Gridley community, played sports, and eventually graduated from Gridley High School. During the summer of 1989, Arnoldo was student scholar with the National Hispanic Caucus Institute where he interned with Chairman of Committee of Agriculture, Kika de la Garza. 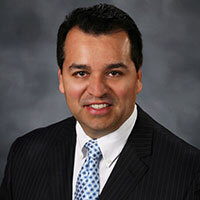 Arnoldo graduated with honors from University of California, Berkeley with a History degree and holds a Masters in Public Policy from Harvard University. He is a National Hispanic Caucus Institute fellow, received Robert Gordon and Ida W. Sproul Award at CAL, and a former Woodrow Wilson National fellowship Scholar. Arnoldo sits on the Latino Community Foundation board and was a founding member of Hermanos Unidos and he resides on the State Board of Hermanos Unidos overseeing the 12 student organizations at various Universities in California. Additionally, Arnoldo and his wife, Alma, personally founded and funded Avalos Foundation (website: avalosfoundation.org) focused on providing college scholarships to high achieving low income students from the upper Sacramento Valley. Besides working with Latino Community Foundation, Avalos Foundation, and Hermanos Unidos, Arnoldo participates in the Cal Alumni Association. He has made personal donation to the University of California Foundation and the East Bay Community Fund. Arnoldo and Alma Avalos also held multiple political fundraising events for two recently elected Congressmen, Dr. Raul Ruiz for Coachella CA and Joaquin Castro from San Antonio TX, plus Jose M. Hernandez, ex NASA astronaut who lost his bid for Congress. Additionally, Arnoldo volunteers in his local Pleasanton schools district, worked on Site Council, and advised with the Pleasanton Educational Foundation. Arnoldo has sponsored 3 university scholarships at his former Gridley high school focused on high achievement and financial need. And while at Facebook, Arnoldo is helping on a diversity initiative and is a lead on the SOMOS group (latino affinity group at Facebook). Additionally, he volunteers to help non-profits (e.g. Latinas Contra Cancer and Pleasanton Partnership in Education) with their Facebook pages.